Different content policies and guidelines use slightly different standards. One of the commonly misunderstood distinctions is between "secondary source" and "third party". "Secondary" does not mean "independent" or "uninvolved". Most independent sources are not secondary sources. Primary source material is original material, without analysis, interpretation, or transformation by others. Secondary source material is based on primary and other secondary source material, and may include synthesis and novel conclusions. A tertiary source is one that is based on a broad base of material, usually secondary, without introducing new synthesis or conclusions. Many sources contain a combination of primary/secondary or secondary/tertiary material, sometimes all three. A source that is secondary in one context may be primary in another (e.g. a history book is a secondary source for the facts it reports, but a primary source for what the author wrote about an event). What constitutes "original material" depends on the context. As a rule of thumb, if the document is dramatically closer to the event than you are, then it should be treated as a primary source. For example, any ancient manuscript will be considered an "original document" by modern scholars. Wikipedia normally treats century-old newspaper reports as primary sources for notability analysis, and sometimes for verifiability analysis (especially if covering something that could have changed or about which understanding could have changed, such as the causes of a war). A third-party source is a source that isn't involved in the event. The third party is generally expected to be an independent, outside observer. It is common for the third party to be neutral and even-handed, but, in some instances, the third party may have strong opinions about the event. However, he or she takes no direct part in the event. For some subjects, there are no first-party sources. For example, no one is an "involved" party in simple arithmetic or basic anatomy, so any reliable source supporting a statement like "two plus two equals four" or "the human hand typically has four fingers and one thumb" will be a third-party source. For other subjects, no third-party sources exist, because the only people who have published information are the people involved in it. Wikipedia should not have articles on any topic that third-party sources have never written about, or have published only trivial, routine, or passing mentions; they are not notable. Some sources combine first-party and third-party material. For example, journalist Rose Kushner's first book, Breast Cancer: A Personal History and Investigative Report, presents both the author's personal experiences with having breast cancer in the 1970s (first-party material) and information that she researched from academic and professional sources (third-party material). Scientist publishes an original report about his experiments. Eyewitnesses at a house fire write about what they saw. Scientist combines data from a dozen of his own previously published experiments into a meta-analysis. Author uses eyewitness reports to write a book about house fires. 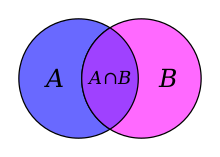 A represents independent sources; B represents third-party sources. Some third-party sources are not completely independent because they have a conflict of interest. Although third-party sources are often also independent (that is, without a conflict of interest), it is not always the case. An independent source is a source that has no vested interest in a written topic and therefore it is commonly expected to describe the topic from a disinterested perspective. Imagine that two large companies are involved in a lawsuit. An investor who is not part of the dispute may still have a conflict of interest, because of plans to profit from the stock market's response to the lawsuit. This investor is a third party, but is not financially independent. He (or she) may have a vested interest in the dispute being seen in a particular light, or being prolonged, even though the investor is not directly involved in the lawsuit. Consider an election with multiple candidates. Candidate Smith gives a speech attacking Candidate Jones. A third candidate, Roberts, publishes an advertisement decrying the attack. Roberts is a third party—he is not attacking or being attacked—but he is not independent, because he has a vested interest in the situation. Whether a source is first-person, second-person, or third-person is strictly a matter of grammar, not factual content. I walked across the room. We walked across the room. You walked across the room. You / You all / You lot walked across the room. She/he/it walked across the room. They walked across the room.